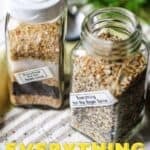 Everything Bagel Spice Blend... not just for bagels! Everything Bagel Spice is for more than just bagels! 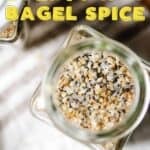 Everything Bagel Spice blend is, well… it’s everything but the bagel! But really, it’s ev.uh.ry.thing. I made it a while ago just for fun. After that I was putting it on my homemade pizza crusts and it was totally delicious. Then I started making these easy two ingredient bagels. Since the discovery of that amazingness, I’ve been making myself a bagel, fresh from the oven, almost everyday but that’s a story for another blog post. You may surprise yourself just how much you’ll use Everything Bagel Spice. It isn’t just for bagels. Put in in dips like hummus or guacamole, use it in breading for baked chicken, sprinkle it on popcorn! 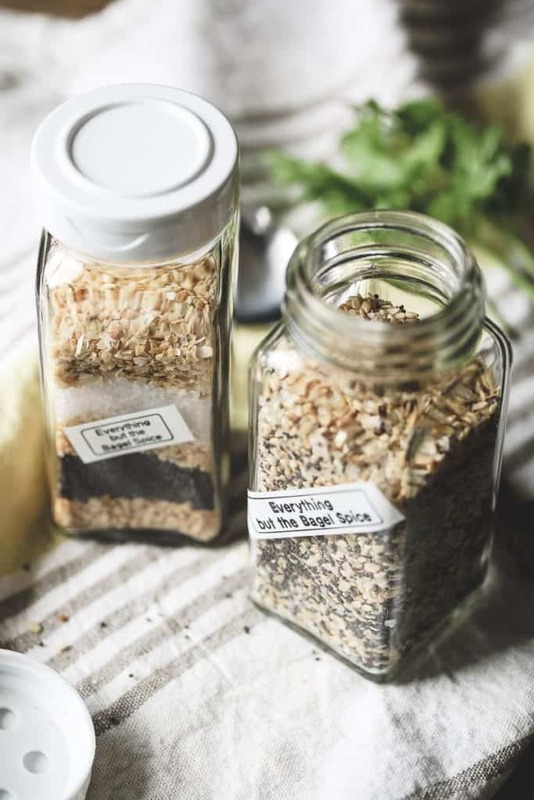 The options for using this salty-garlicky-oniony-seedy spice blend are limitless! I have a hard time throwing away old spice jars, especially the square glass ones with white flip top shaker lids. (Haha, that was specific.) As it turns out, they’re the perfect jars for my homemade spice blends! 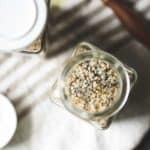 The famous garlic-sesame seasoning blend, Everything Bagel Spice, is for more than just bagels! 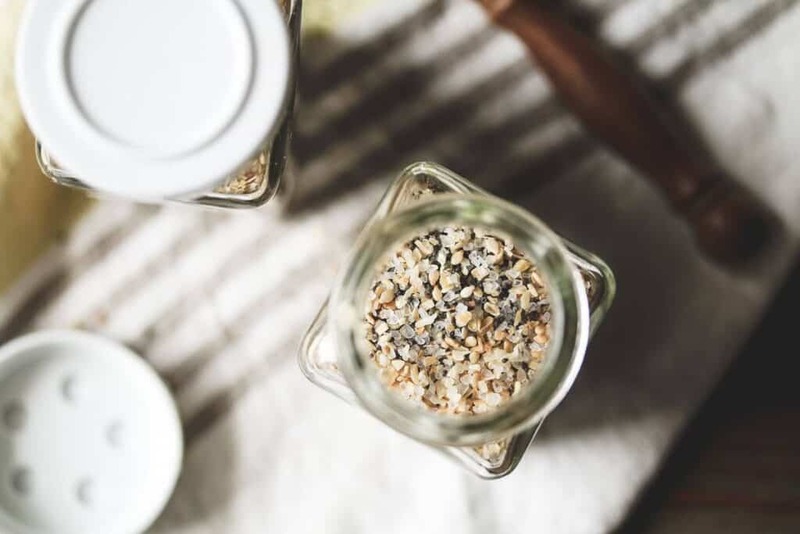 Store the mixture in a spice jar with a tight fitting lid for storage. Will last for 1 year. You can buy a similar blend from Trader Joe’s. Unfortunately I don’t live near a one and I admittedly have major FOMO over it. I mean, what do they have against people who don’t live in the suburbs? Anyway, King Arthur Flour sells one too, but you may as well just make it yourself! Great post! I’ll definitely make this!! A couple questions though. Is dried garlic the same as garlic powder? And what is FOMO?